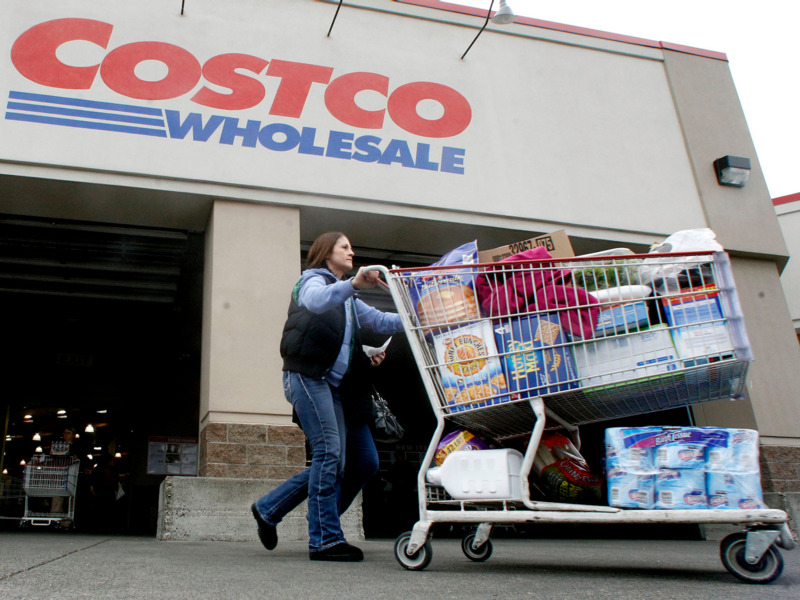 Rick Bowmer/AP PhotosYou don’t need a membership to take advantage of Costco’s online deals. You don’t need to be a Costco member to shop online. However, there’s a catch – non-members have to pay a 5% surcharge on most online items, and some Costco online prices are up to 20% higher than the prices offered in-store. Bargain hunters and Costco lovers, rejoice! You don’t need a membership to do some Costco online shopping. But before you get too excited, know there’s a catch: with the exception of prescription drugs, you’ll have to pay a 5% surcharge. Not only that, but some of the prices are higher than the prices offered in-stores in nearly every category – as much as 20% higher, reported Business Insider’s Dennis Green. For example, a two-pack of Kirkland Signature organic creamy peanut butter was $US9.99 in-store but $US11.99 online. Even so, Costco‘s online store may still be a deal. If you spend less than $US1,200 a year at Costco.com, the 5% surcharge amounts to less than the cost of a $US60 annual membership. Score. It’s even better if you use a credit card with cash-back benefits. The Costco Anywhere Visa Card by Citi and InFirst Credit Union Visa Rewards card both offer 2% cash back at warehouse clubs, so you’re essentially only paying 3% of the surcharge once you get the cash back. And the Chase Freedom card and Discover it – Cashback Match have offered 5% cash back at wholesale clubs before. Watch out for the reappearance of this benefit – you could end up re-pocketing the full amount of the surcharge. In more news of bargain delights, Costco Grocery also offers same-day delivery in most metropolitan areas for orders over $US35 as well as free two-day delivery for orders of $US75 or more, although each item comes with an extra shipping charge before that threshold. But it’s a minimum that’s easy to reach when buying in bulk. Although not all of Costco’s in-store goods – like some foods – are sold online, they do offer more items online than they do in stores – 10,000 compared to 4,000, according to Bloomberg. Whether that’s a positive or negative depends on what items you’re willing to give up in exchange for others. This isn’t the only way you can shop at Costco without a membership.